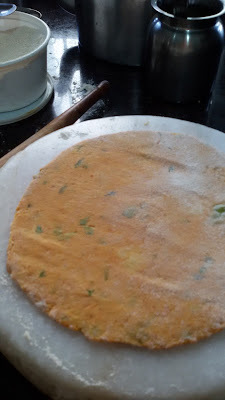 First take one big bowl, add carrot purie, potato mash, chilli ginger garlic paste, coriander leaves, salt and other dry masalas. Then add wheat flour to that along with water and little oil. 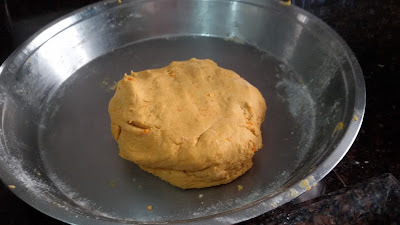 Knead and make soft dough. Keep for 10 minutes. 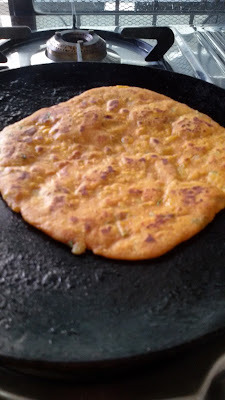 Heat a tawa on medium flame and make parathas. Cook on both the sides. Pour oil and roast till both the sides become brown. 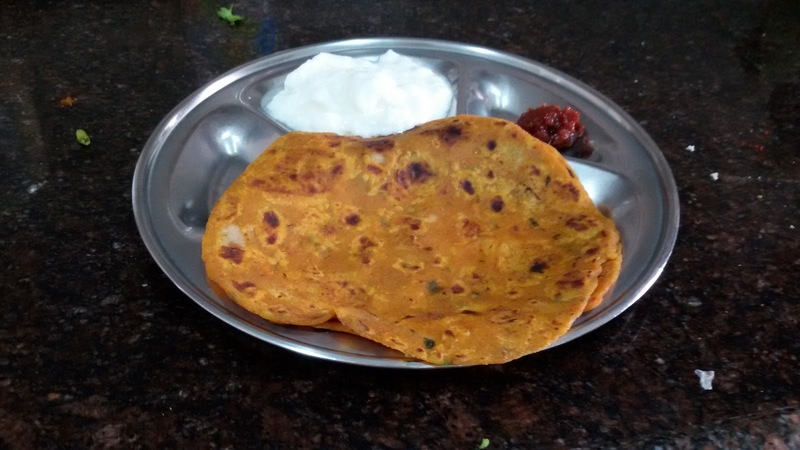 Serve with pickle and curd.